Buffet Dinner/ Veg Dinner . Complimentary 02 Bottles of Mineral Water on the day of arrival..
We will Pick you up from Jaipur Airport / Railway Station by placard carrying driver and transfer to Hotel. Later visit the Pink City,Hawa Mahal, City Palace, the ancient Observatory and Local Market. Overnight Jaipur. Places to visit in Jaipur: City Palace, Jantar Mantar, Old city & Local Market. Drive to Bikaner. Afternoon tour of this desert city. Bikaner is bolstered by imposing walls and has a 16th century fort housing old palaces, temples and a mosque. Founded by Raja Rai Singh, the fort is distinguished by its long range of 37 pavilions, a line of balconies and aerial windows of varying designs. Overnight Bikaner. Places to visit in Bikaner: Junagarh fort, Rat temple, Camel breeding Farm & Local Market. Drive to Jaisalmer. Rest of the Day at leisure. Evening visit Gadisar Lake & Local market. Overnight Jaisalmer. Place to visit in Jaisalmer: Gadisar Lake & Local Market. Morning visit Jaisalmer. Visit the Fort, bazzars and the old mansions known as “havelis”. People still live in these ancient buildings dating from 12th to 15th century. Every house has exquisite carvings and filigreed work. Afternoon drive to visit Jaisalmer sand dunes with camel ride at the time of sunset. Also can have Traditional Dinner with Rajasthani cultural show. Overnight Jaisalmer. Places to visit in Jaisalmer: Jaisalmer Fort, Havelis, Sand dunes, Camel ride, Cultural Show. Morning drive to Jodhpur en route visiting Pokhran. 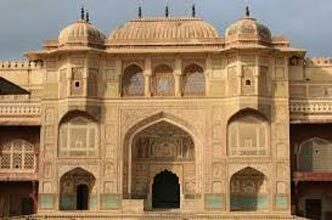 Afternoon visit the Meharangarh Fort, situated on a low sandstone Hill, including Moti-Mahal and Phool Mahal. 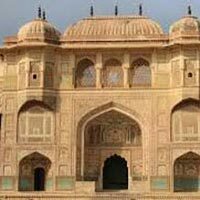 Also visit Jaswant Thada, an imposing Marble Memorium built in 1899 and the museum located in the Umaid Public Gardens. Overnight Jodhpur. Places to visit in Jodhpur: Mehrangarh Fort, Jaswant Thada, moti Mahal, Phool Mahal & Clock tower. Morning drive to Mount Abu visiting Ranakpur Temples enroute. 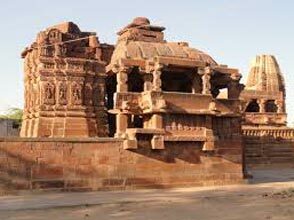 The Jain Temples built in the 15th century are situated in the lovely valley of the Aravali. Its surrounding is quiet and picturesque. Ranakpur has grand structures and beautiful sculpture. There are 1444 pillars in the temple and none of them are similar. The magic of light & shade is really awe inspiring. Surya Temple and other Jain Temples are side attractions.. Check-in at hotel Mt. Abu. Visit Sunset Point in the evening. 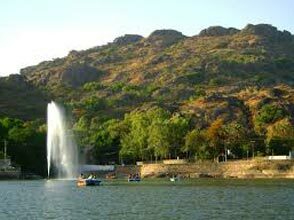 Overnight Mount Abu. 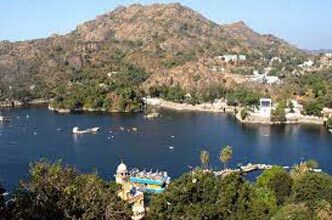 Places to visit in Mount Abu: Nakki Lake Delwada Jain Temples & Local Market. Things to do in Udaipur: Boat ride on Lake Pichhola. Places to visit in Udaipur: City Palace, Jagdish Mandir, Fateh sagar lake & Shaheliyon ki bari. After breakfast drive to Jaipur en route visiting Pushkar. In Pushkar, visit the holy Lake and also the famous Brahma Temple. Pushkar is one of the holiest places for Hindus. 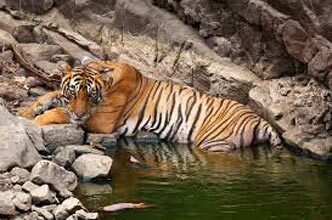 Things to do in Jaipur: Amber Fort, Sheesh Mahal, jagat siromani Temple, Water Palace.